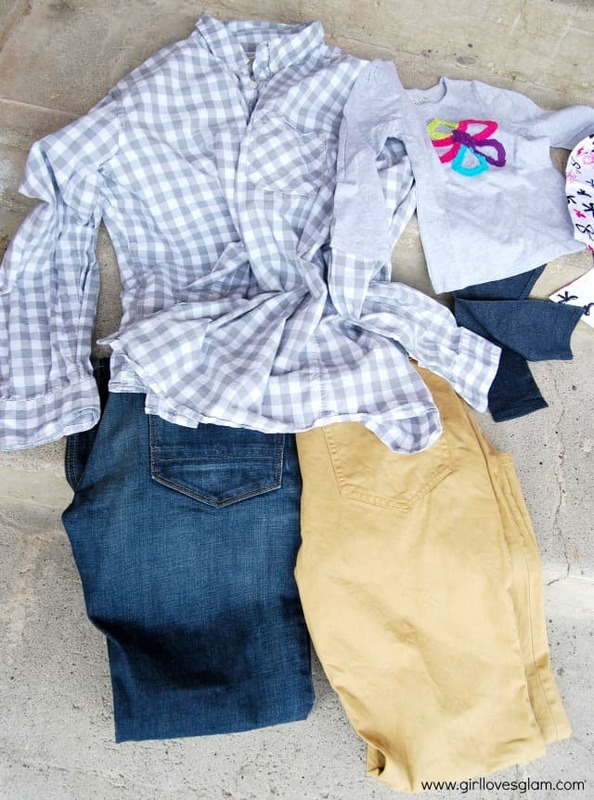 If I have learned one important lesson about children’s clothes, it’s that choosing quality pieces is so important! 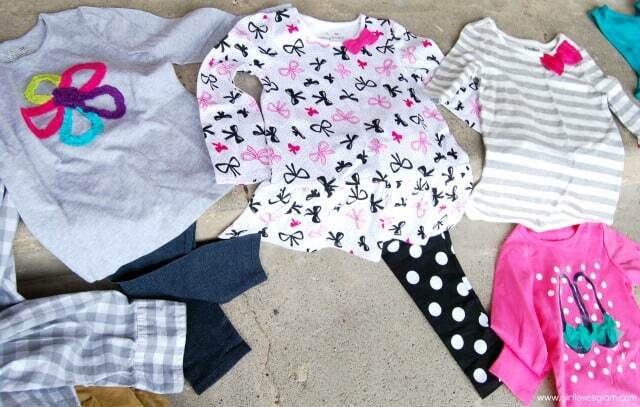 Kids can be really hard on their clothes and if the clothes aren’t made to last, they aren’t going to last. If I am going to be spending my hard earned money on back to school clothes, I want them to make it through the school year. This has become even more important to me since having a second daughter. I know that any clothes that last through the first one can be passed down to the second one. As my younger daughter has grown into more clothes of her sister’s, you can definitely tell what items were made to stand the test of time and which ones were a total waste of money. That is why we did our back to school shopping at Abercrombie Kids this year. The jeans at Abercrombie Kids are super high quality and I know they’ll make it through the years. It is almost time for school to start again! It is hard to believe that this year, I will have a child in kindergarten! We did a little back to school shopping for preschool, but this is our first year of really needing to go shopping for a lot of back to school clothes. It is insane just how much kids can grow in even just one summer! Thankfully, we were able to find some really great deals and I hope they can help you get the most bang for your back to school buck, too! 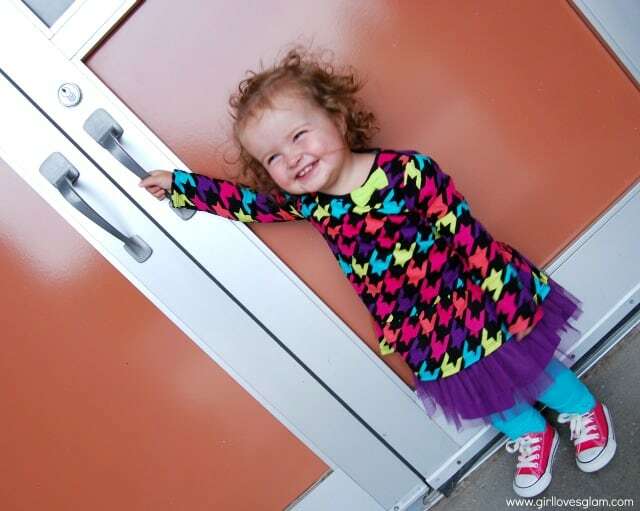 Preschool Favorites with Mabel’s Labels Giveaway! I know it sounds incredibly cliche, but I just can’t believe I have a kid in school. 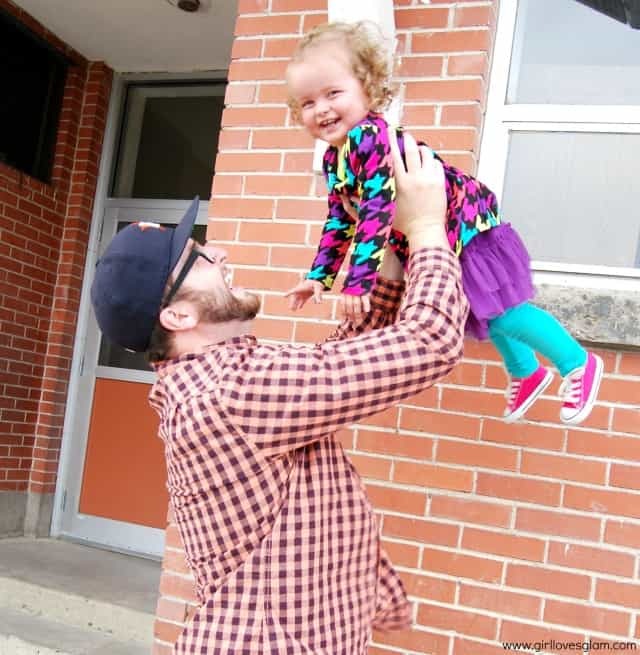 I know it is just preschool, but it is crazy to me to think that she has that independence twice a week. 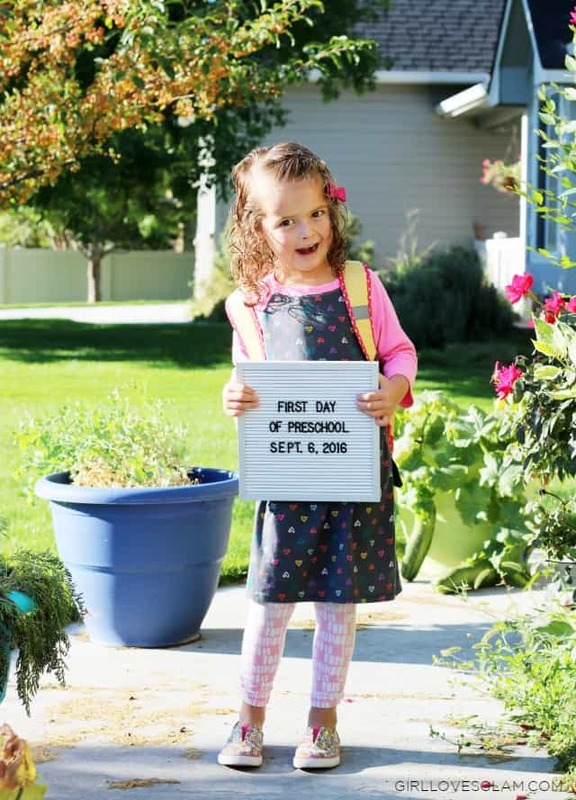 Her preschool didn’t require many school supplies, just a box of crayons, a package of baby wipes, and a box of markers, but I wanted to make her feel like she was officially a school kid. Photography by Stayc Smart. This post contains affiliate links. Back to school season is here for good! Now moms everywhere face the same issue of having to get ready quickly so they aren’t the mom dropping their kids off while they are still in their pj’s. If you have some great go to outfits, you won’t have to worry about what you are going to put on really quick as you run out the door. Here are a few of my top tips to be able to put together some of your best outfits and nobody will have to know that you just woke up a few minutes before dropping those kids off! This time of year can bring so many great things like structured schedules and sweater weather. This time of year can also bring some negative things like allergies, germs being passed around at school, lack of exercise, and cold/flu season. With each new season, I like to sit down and make goals for myself. I am truly trying to be a healthier me in many ways and I want to spread that to my family. 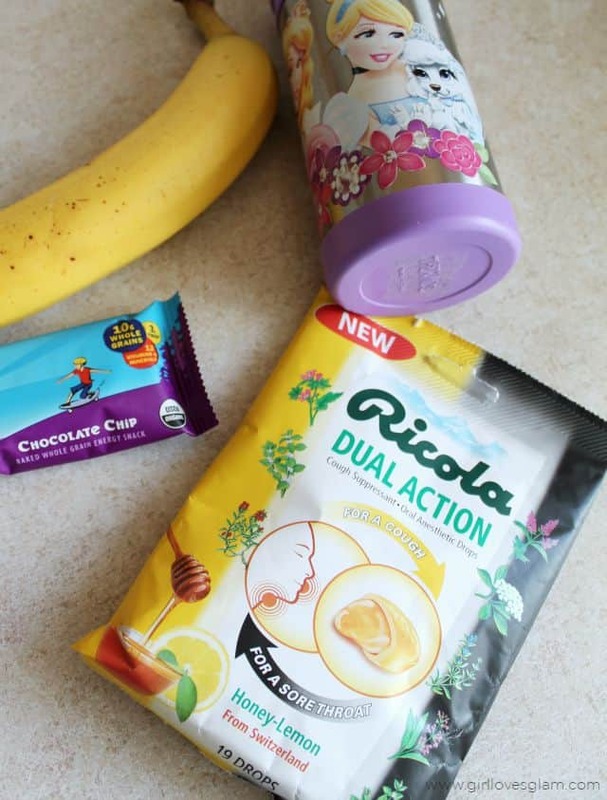 We are doing a few things to make our family healthier that I want to share with you! I cannot believe that I have a child who is old enough to be in preschool. We aren’t exactly sure what we are going to be doing for preschool yet. We aren’t sure if we will be living in this area still, if we will have our daughter attend a traditional preschool, or if we will be joining a joy school type environment. There are so many options out there! I do know that no matter what we will end up doing, I want her to feel prepared and feel confident about starting her journey as a student. Hurry, hurry…the school bus is coming! Grab your lunch box, your back pack and those good lookin’ school smiles because the bell is about to ring! 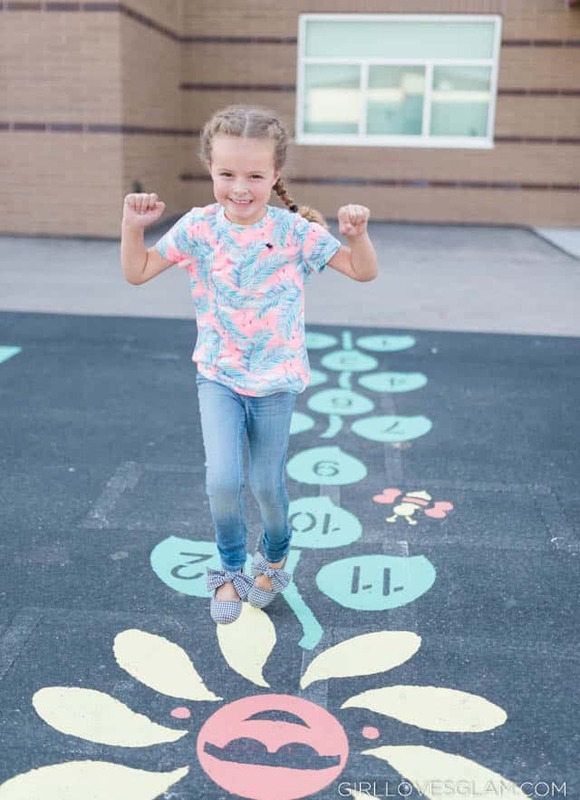 Can you believe that in just a couple of weeks, school is starting and our kiddos will be out the door racing to the bus, skipping to their brand new classes, running around with their friends at recess and meeting their new teachers? Crazy!!! 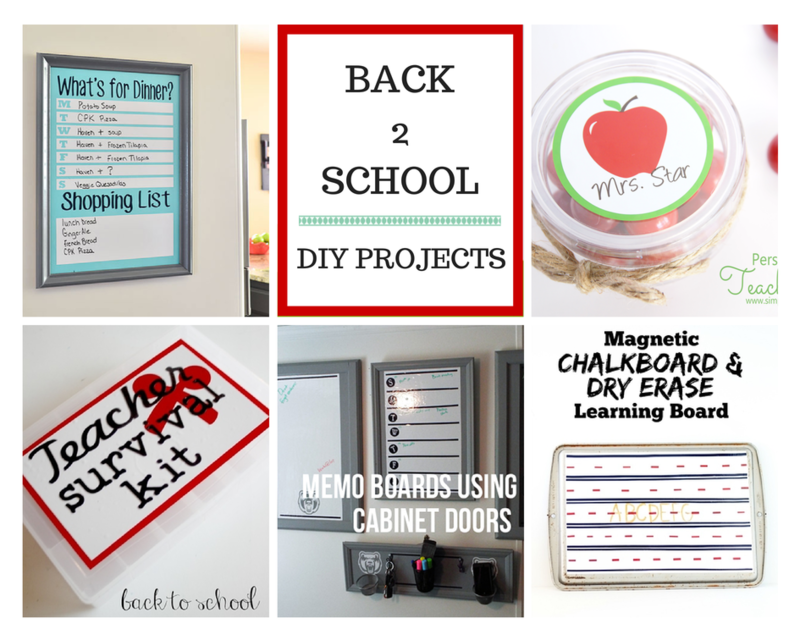 Can you even believe that it is almost time to send the kiddos back to school again? 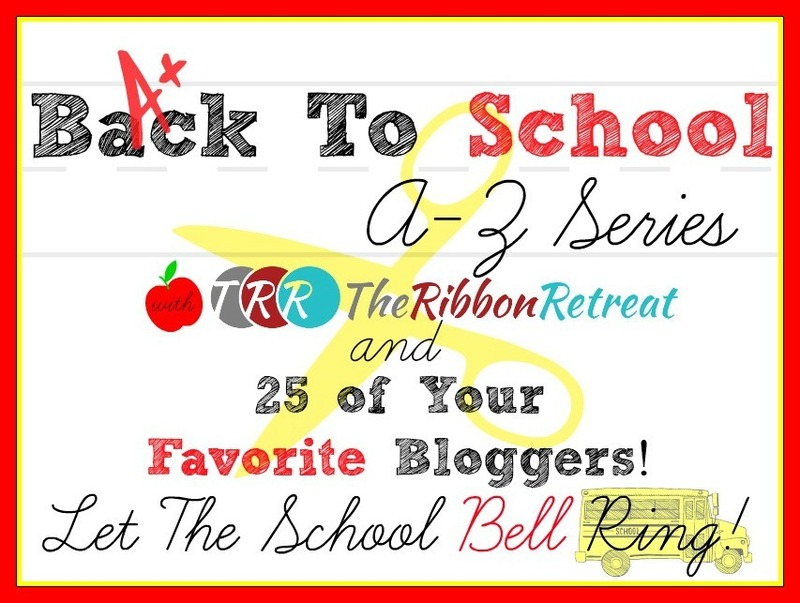 I am teaming up with a few other fabulous bloggers to show you our ideas to survive back to school season and be able to celebrate it in all of the awesomeness that it truly is! Back to school means something totally different when you have a child who isn’t in school yet. Just because my daughter doesn’t go to school yet, doesn’t mean I don’t want to spend the time teaching her and let her make her own discoveries. 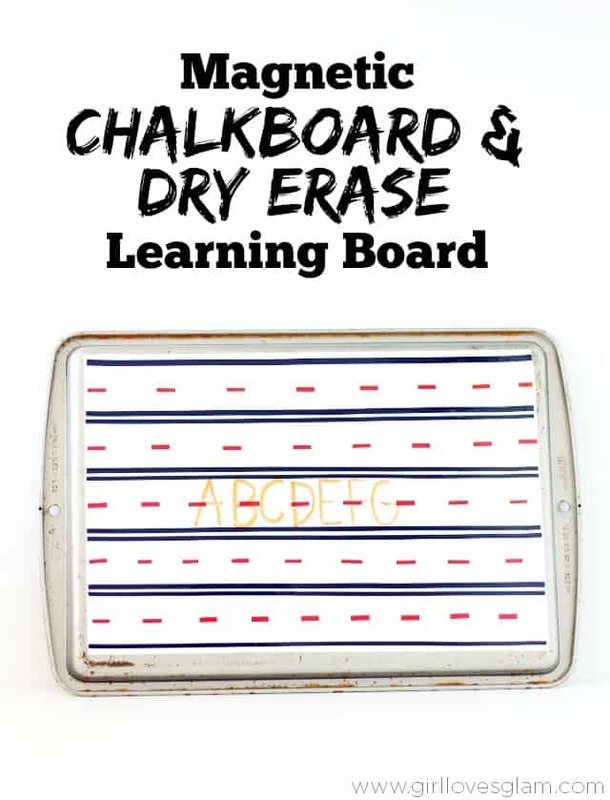 That is why I chose to make a magnetic chalkboard and dry erase board that can be used as a learning center for all kinds of learning activities. 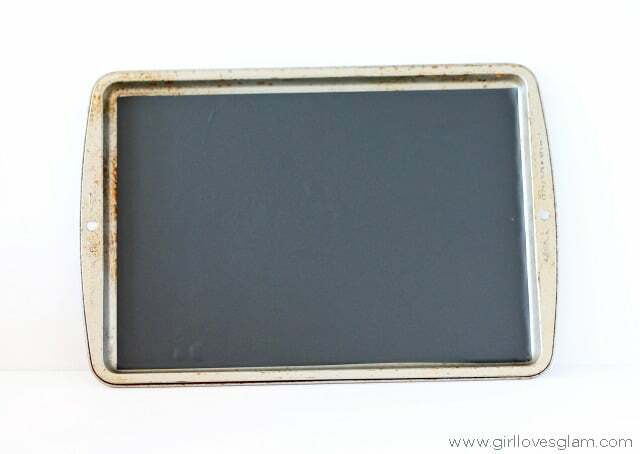 Cut a piece of the chalkboard vinyl to the size of the cookie sheet. 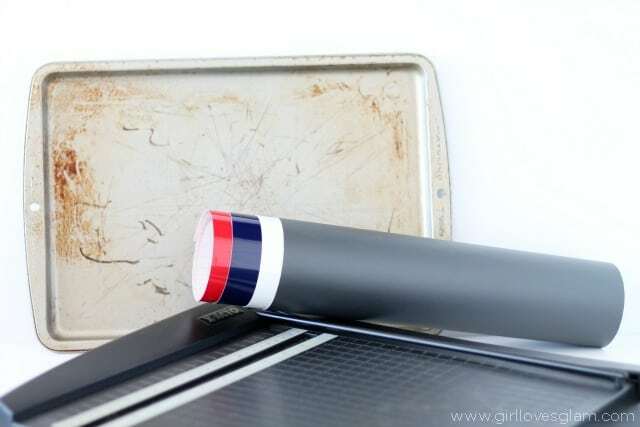 Stick the vinyl to the cookie sheet. 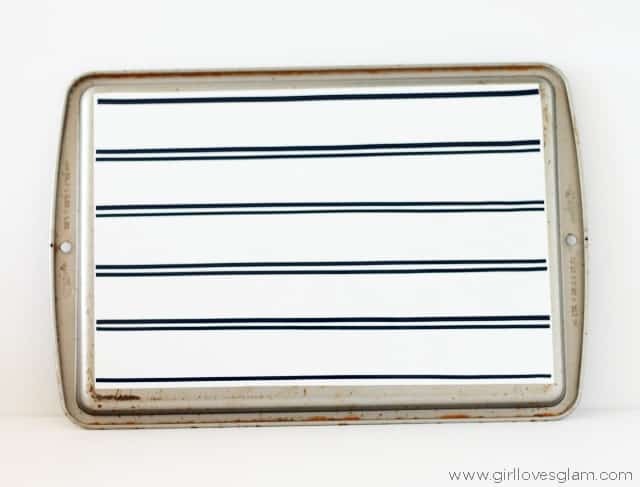 Cut the dry erase vinyl as the same size as the other side of the cookie sheet and stick the vinyl to it. 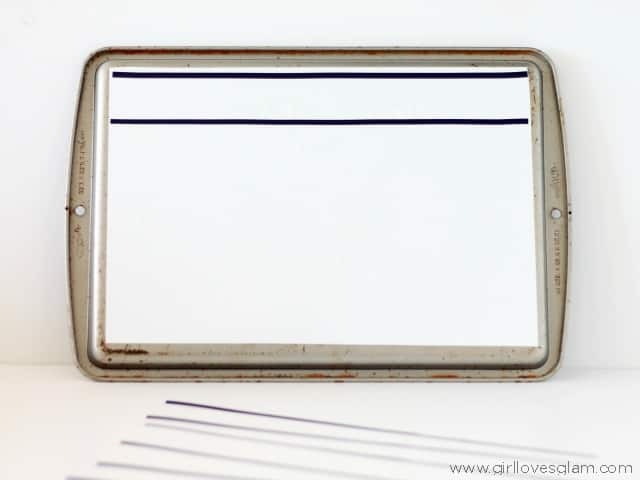 Cut the blue vinyl into little strips and stick them onto the white board. These are the lines to write on so they need to be spaced apart enough to write on. Cut the red vinyl into little strips and cut those strips into smaller sections. Put those red pieces in a line in the center of each of the sections. 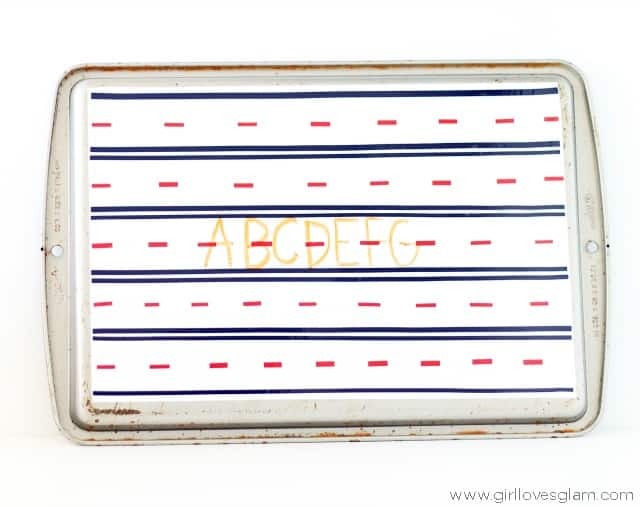 Now my daughter can practice writing on this dry erase board that can easily sit on her lap. She can also draw on the chalkboard and play with all of her Pre K learning packs that she has. 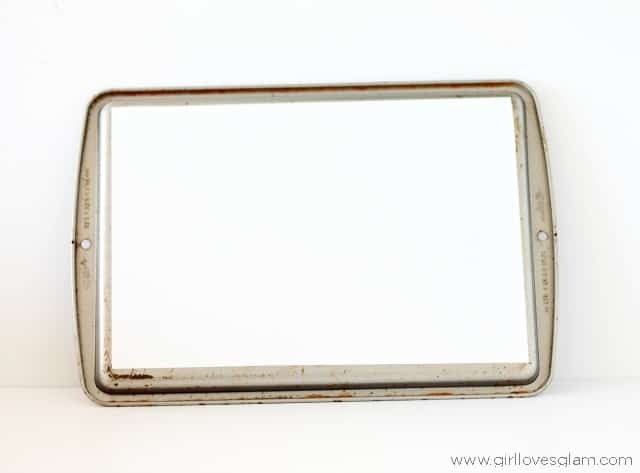 They can easily stick on the cookie sheet because it is magnetic. You can find tons of these Pre K packs on my friends blog, Over the Big Moon. Good luck! 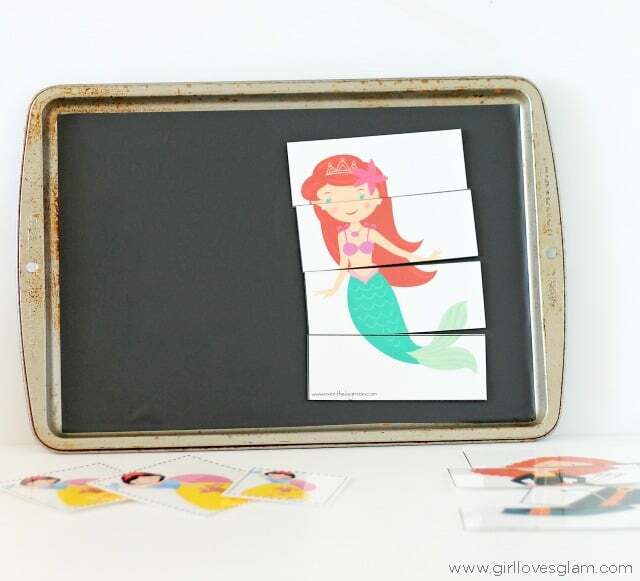 For even more fabulous ideas using vinyl in so many ways you could ever dream of, check out the Expressions Vinyl Blog too! As much as I love the summer for the nice weather, I don’t actually love summer fashion that much. My absolute favorite time to dress is the FALL! I love layering, but not feeling like you have to wear 5 million layers like you do in the winter. I love playing with different textures and finding that balance between hard and soft elements. Even though I don’t have any kids in school yet, I always find myself doing a little back to school shopping! There are a few reasons for this. One, my child just keeps getting bigger! How does this happen?! She has to get an entire new wardrobe for each season not only because it is super fun to dress her, but because it is entirely necessary! Two, because by the time it is a season again, I look at my clothes from the last time this season rolled around and I don’t feel like wearing half of my clothes! I love to get a few new pieces to feel like I am embracing the new season. And three, my husband is a teacher! He wears out school clothes like nobody’s business! I can’t even tell you the amount of dress pants, shoes, and dress shirts he has gone through in the last 3 years of teaching. Here’s the difference this year though. He got a different teaching job! He is now an online teacher! He won’t be in a classroom anymore, but he doesn’t have many regular clothes because he practically lived in dress clothes before! 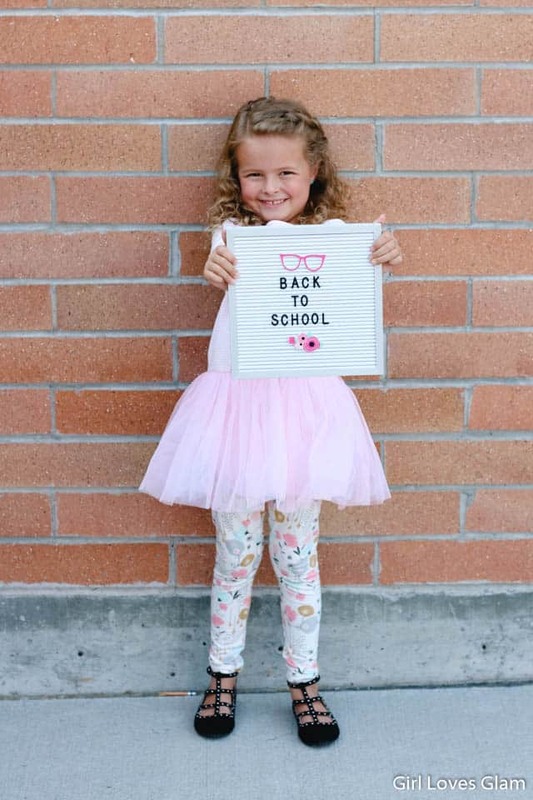 When I was contacted by Kohl’s to pick up a few of their fabulous back to school clothes for my family, I was beyond thrilled because I LOVE Kohl’s! I always, always have! So, wanna see what we got?! The greatest part about this time of year is finding a new pair of jeans that you can’t live without. This is totally the case with these Levi’s skinny jeans! They stretch like crazy and I am basically obsessed with the wash. I have been dying to get a pair of Chucks for a while now too. I knew I HAD to have these in my shoe collection. Kohl’s also has an AWESOME selection of jewelry! My favorite part is the clearance. Maybe that is because I like to go big and bold with my jewelry and those pieces are usually the ones left in the clearance section at my local store. I love the earrings and ring that I got because they add just the right level of hard texture to my outfit. 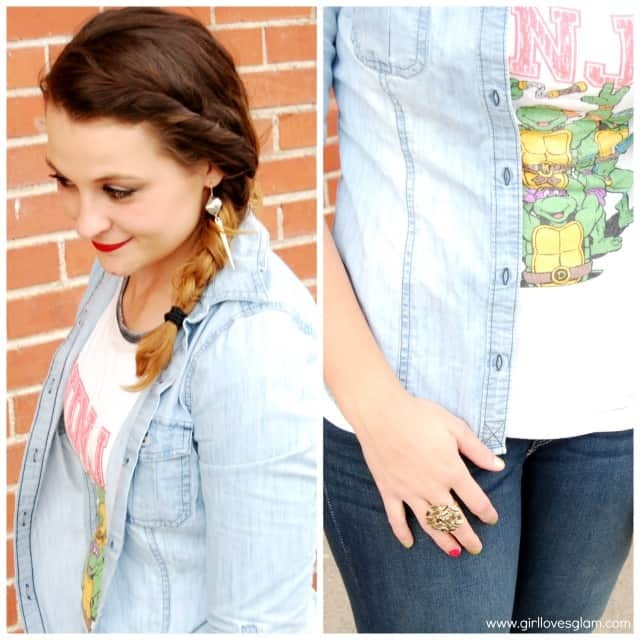 The icing on the cake is my Ninja Turtles baseball tee. I love that baseball tees are so on trend right now. 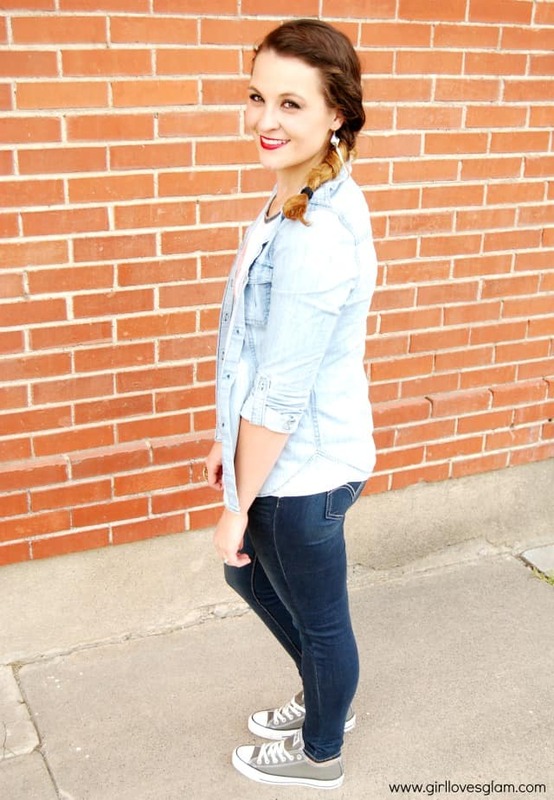 You can pair them with jeans or even your favorite skirt! They are comfortable and totally cute! 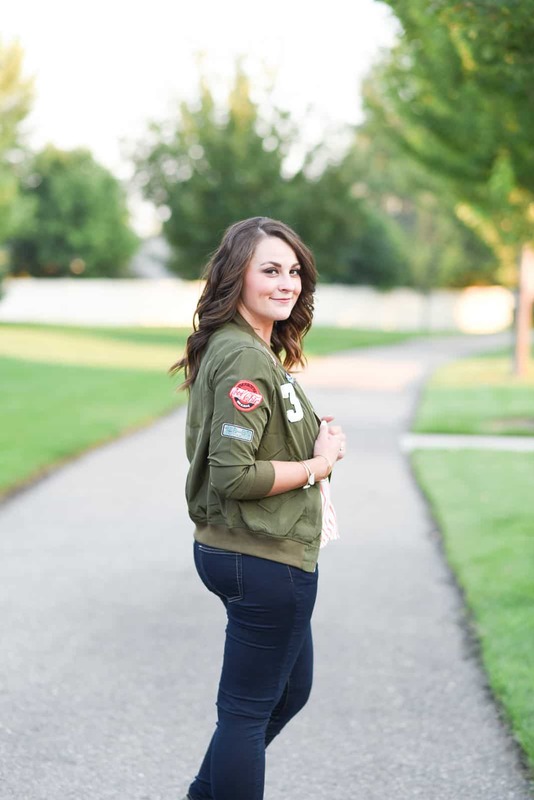 If I could wear this outfit everyday this Fall, I would! I feel like it was made for me! Dave was all about finding the perfect pair of jeans and some great button up shirts. He wanted to feel comfortable but professional. 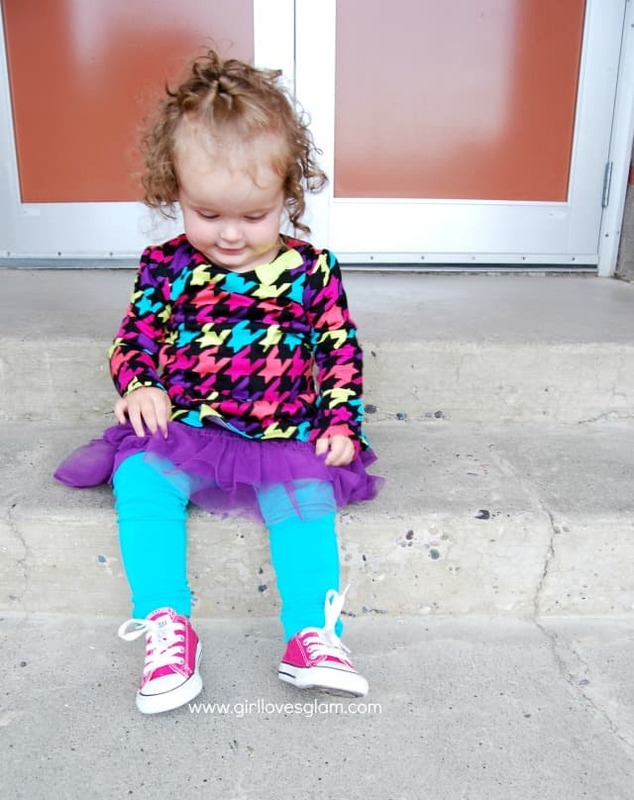 For our little growing girl, I knew I needed separates that could easily transition and be worn with each other. I wanted clothes that would look great no matter who dressed her *cough* *cough* DAD! I’m kidding. He does a great job at dressing her. You get my drift though. That is a problem that I have had in the past with a lot of her clothes. 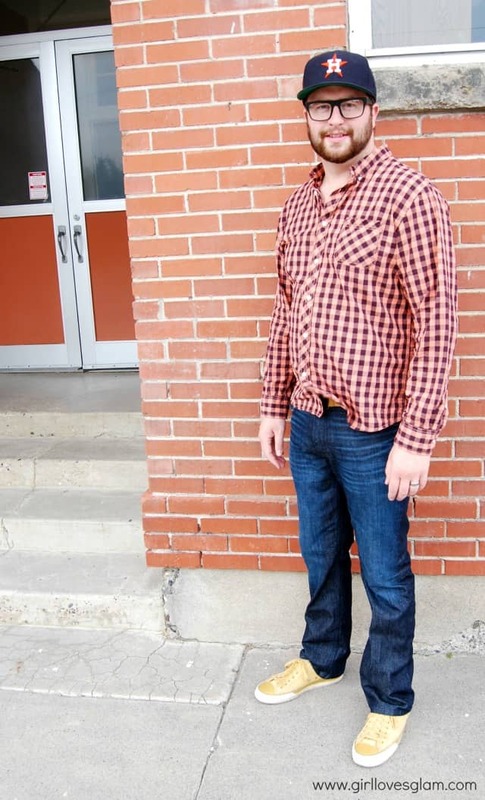 There are shirts that only go with one pair of pants and I hate it! 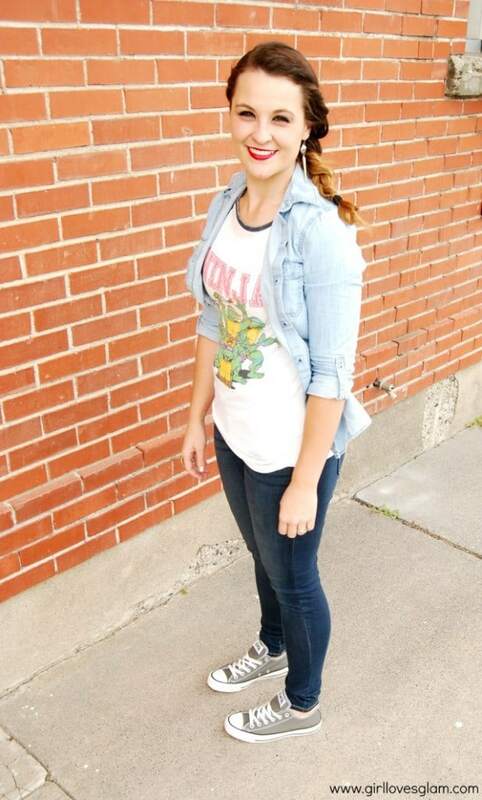 Everything I found at Kohl’s can totally be worn with each other! Now she thinks she is totally ready for school! I think she could even pass for a preschooler! We all feel and look great in our new clothes! We can play in them and enjoy the weather as the seasons change. You can find all of these great items in your local Kohl’s store or on kohls.com! Don’t forget to enter to win a $50 Kohl’s Gift Card HERE! I was given a gift card as compensation for my post. All thoughts and opinions are 100% my own. I LOVE Kohl’s!